Past Times meet on the fourth Monday of the month in St Mary’s Church Hall from 1.30 pm to 3.30 pm. It is an opportunity to meet, chat and make craft items. Most people bring their own craft to do, however the group work together to create items for the handicraft stall at the church fairs, and make kneelers for use in church. For more information, please telephone the Team Office on 01752 348525 or just come along. Please note, the group does not meet in August or December. A Time for Love – Songs for the Easter Season. A concert in St Mary’s church with Sandy’s Songbirds and U3A Plymchords. Saturday 27th April 7.30pm. 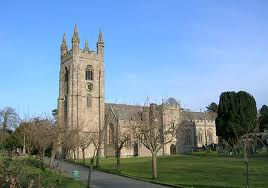 Go to the Events and Notices page for more details on how to join and raise money for St Mary’s Church.